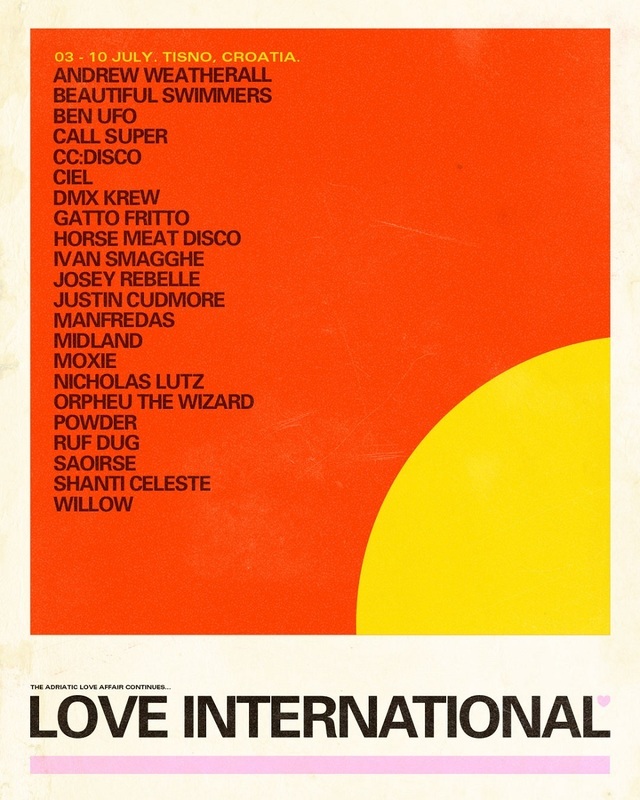 Andrew Weatherall, Nicholas Lutz, Ivan Smagghe, DMX Krew, Orpheu the Wizard and Manfredo are among the first acts confirmed for Love International 2019. They will join CC:Disco, Ciel and Justin Cudmore in making their debuts at the Croatian festival when it returns to The Garden Resort in Tisno from Wednesday, July 3rd to Wednesday, July 10th. Familiar friends on the initial line-up include Ben UFO, Midland, Shanti Celeste, Beautiful Swimmers, Horse Meat Disco, Call Super, Moxie, Saoirse, Ruf Dug, Josey Rebelle, Gatto Fritto, Powder and Willow. The full roster will be revealed in January. Love International co-founder Tom Paine said: “We are all immensely proud of our first names for summer 2019 in Tisno. It’s a really great mix of debutants, old faces and new friends coming to join us for our 4th year. We also are fully committed to developing the sense of community which really bloomed this summer, we want everyone who comes to feel unity and to feel free. Rewind to some of the standout sets from Love International 2018 at NTS here featuring Shanti Celeste, Ben UFO and Craig Richards, Daniele Baldelli, Khruangbin, Begin, Powder and Lexx. For Love International 2019 tickets and details go to loveinternationalfestival.com.